There was an announcement of "change" in the Phillies front office yesterday. But the fact of the matter is, though some titles were shuffled, in the end there was no change at all of any consequence. 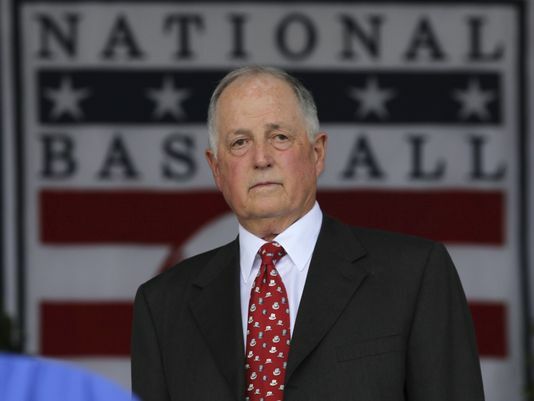 In the "new" structure, Pat Gillick has the "interim" tag removed, and is now formally the Phillies club President. David Montgomery is returning to work, but now as the team Chairman. And co-owner Bill Giles receives a title as Chairman Emeritus. There are no new names in the Phillies hierarchy. These are the exact same men who, along with General Manager Ruben Amaro Jr., have been at the helm as the Phils ship began to take on water a few years ago, and then slowly sank into the sea of despair where the wreck now rests. While many fans of the team have found Amaro an easy target against whom to take out their frustrations, I suggested just last month that the Phillies real problem may be Pat Gillick. While it's true that Gillick was GM when the team won the 2008 World Series, and Amaro has been the GM during the decline, it is also true that Gillick won with a core largely assembled prior to his arrival. You can click in to the link in the previous paragraph if you want to read the December article and rehash the woeful history of Phillies drafts under Gillick's watch. But this has been his history wherever he has gone. As David Murphy wrote today at Philly.com, "His last 10 drafts have produced exactly two everyday major leaguers, neither of whom matured into said everyday player with the organization for whom Gillick drafted him." As Murphy correctly pointed out, Gillick's previous successes, the ones that got him into the Baseball Hall of Fame, came as a finisher. He is most adept at looking over a roster, and then figuring out how to add the final pieces to make it a contender. Building a team, or as in this case, overseeing a complete rebuild is nothing that he has ever been asked to accomplish. As organizations all around them look for any way to gain even the slightest edge in an increasingly competitive business, hiring young talents to guide their front offices and embracing statistical and sabermetric tools to increase their odds, the Phillies plod along as if it were 1975 instead of 2015. The effect can be seen simply by looking at that slow, steady decline over the years since 2008. A few months back, it was suggested by local sports reporter Howard Eskin that Montgomery would not return as the team President. For all the grief that he justly takes at times, the fact is that Eskin had it right here. Eskin further speculated that there might be an even bigger picture regime change coming to the Phillies at some point. 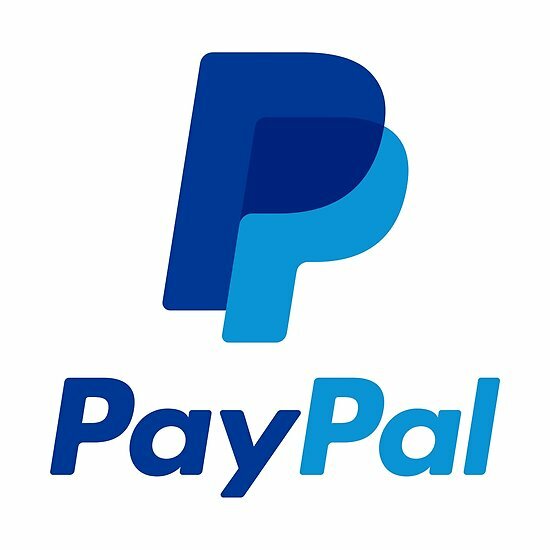 Will he be right regarding ownership as well? And what effect will that have on management? Also last month, less than two weeks after my Gillick piece, I wrote on the state of the Phillies ownership group, speculating that John Middleton could be strategizing a way to move into a majority stake in the team and the subsequent ultimate control that would bring. 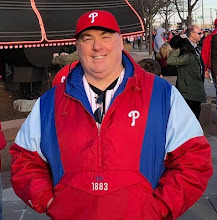 It is my belief that if nothing changes regarding Phillies ownership, if the current situation remains as status quo, or if some Giles-Montgomery faction takes over, then we will be looking at a long, disastrous period in Phils franchise history. The best thing that could happen for Phillies fans is to have Middleton figure out a way to quickly take control, and put both Gillick and Amaro on the unemployment line. The Phillies need a sea change in attitude. They need to get younger and bolder, and the faster the better. Despite yesterday's announcement, there has been no change in the Phils front office, no change in philosophy. To quote a San Francisco-area radio host back in 1985 when the Giants were considering refurbishing Candlestick Park rather than build the team a new ballpark "That would be like putting lipstick on a pig." The Phillies just put lipstick on a pig. Jimmy Rollins Set for Phillies Television Broadcast Debut - Read "Jimmy Rollins Set for Phillies Television Broadcast Debut" and more Philadelphia Phillies news and rumors on SportsTalkPhilly.com.